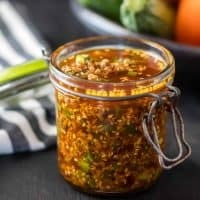 Not your beloved (and familiar) restaurant-style “salsa,” my Chipotle Pepita Salsa is a little zippy, a little smoky, and a lot flavorful! We love it on grilled or roasted vegetables, and brushed on pork chops and salmon steaks. This is a versatile and super flavorful salsa! Is salsa limited to Mexico and Mexican food? Nope! 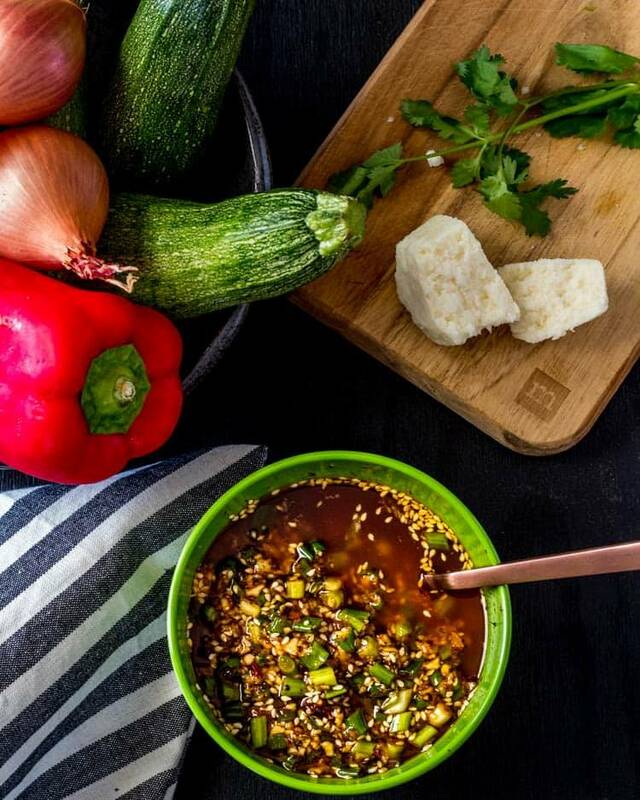 Salsa is a staple in nearly all Latin American countries, and of course you’ll find them in Spain as well. Argentina may be known for chimichurri (yes, it’s salsa! ), and Peru for aji verde, but each country/region has its own salsas that complement their cuisines. And. It. Isn’t. Just. For. Chips. Lol. This salsa was inspired by Rick Bayless’ Salsa Macha, and evolved over time. 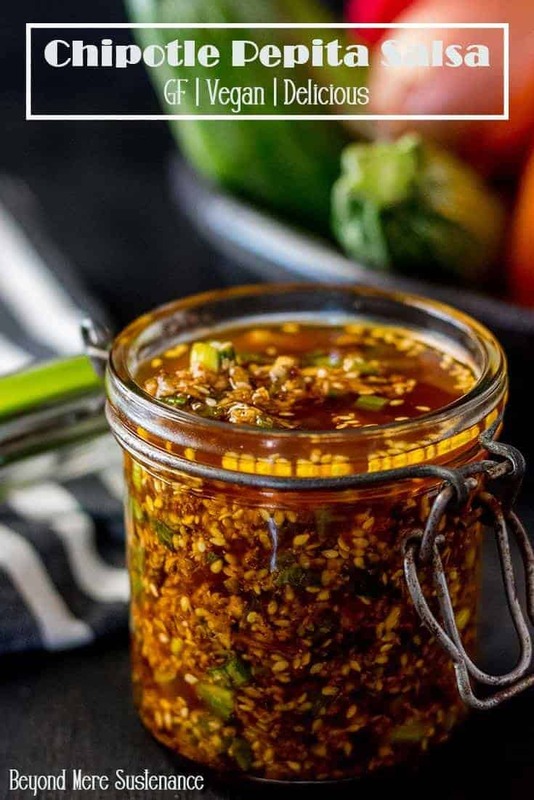 Salsa Macha is a traditional salsa from the state of Veracruz that is based on fried dried chiles. I do keep dried chiles – guajillo, ancho, piquin – and that is where I started. I love the flavors of salsa macha, but I really wanted to create something a little different. I landed on the smoky flavor of chipotle packed in adobo. I’ve always been a sucker for the chipotle chile (smoked jalapeños) in any form, whether it be canned in adobo, dried, or dried and ground. Every cook has a different version of salsa macha, but to my knowledge, they all contain seeds and/or nuts. I think that is a major draw with this recipe. The combination of chile and seeds (both pepitas and sesame seeds) packs a lot of flavor. Achiote paste finds its way into this salsa recipe as well. Have you used it? If you are not familiar with this somewhat obscure ingredient, achiote (or annatto) is the seed from the Bixa orellana shrub native to tropical areas of the Americas including Mexico and the Caribbean. Achiote paste is a spice mix rather than just achiote seeds, and includes cumin, Mexican oregano, coriander seeds, garlic, and more. You can make your own, but I buy the deep red bricks of achiote paste pre-made at my local grocery. Once you gather/prep the ingredients, you should find Chipotle Pepita Salsa comes together quickly. 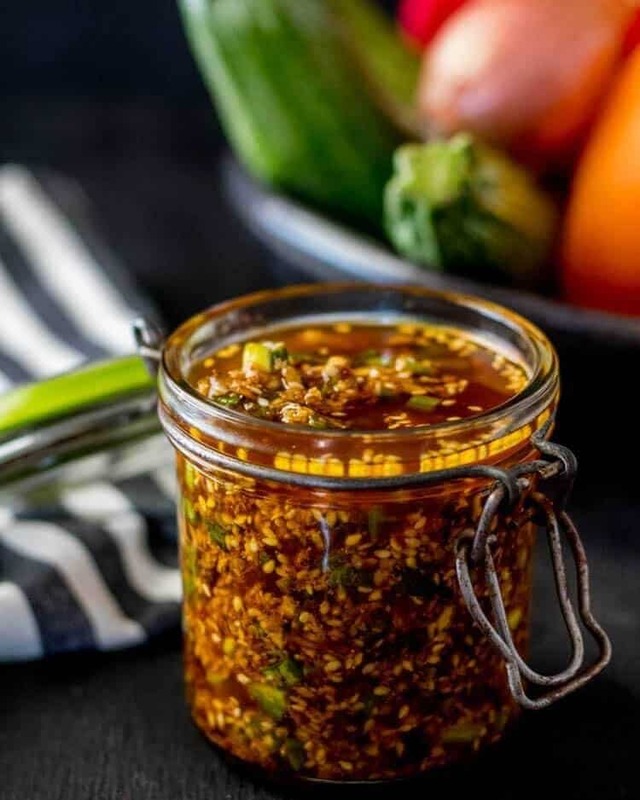 This is an oil-based salsa, and you’ll start with the oil (olive oil and grapeseed oil are good choices) in a sauté pan over medium-high heat. Add the seeds, and let them sizzle in the oil for several minutes before adding the garlic and achiote paste. Stir often to avoid burning the garlic! Turn off the heat, then add the Mexican oregano, sherry, chipotle and adobo, and a few grinds of sea salt and fresh ground pepper. Allow the mixture to completely cool before pulsing it to desired consistency. I cannot over-emphasize the importance of checking the seasoning. This is your chance to perfect the flavor of your salsa! Lastly, stir in the optional chopped scallions. Check out how to make it! 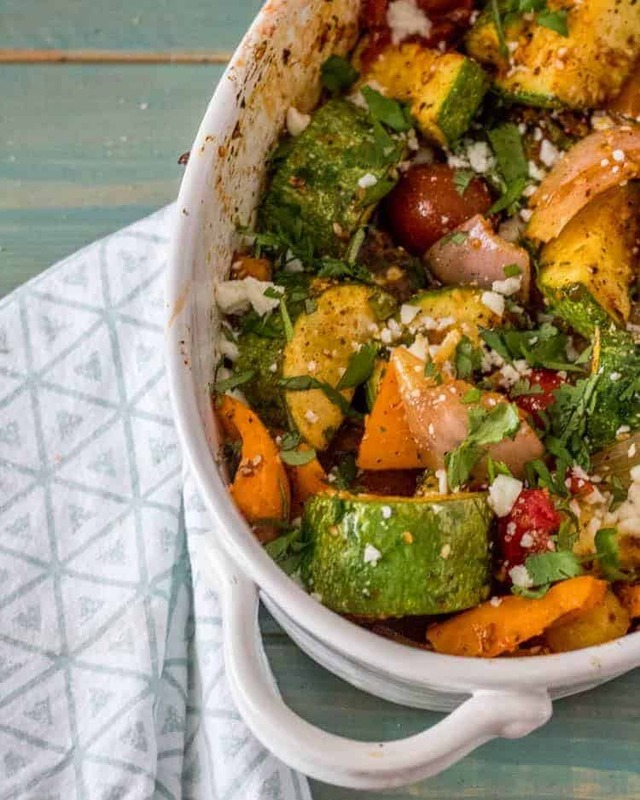 Fantastic on simple roasted and grilled vegetables. Brush it on grilled salmon, pork chops, and chicken. Serve with eggs cooked any style. Stir it into rice for a quick and easy side dish. On your favorite tacos like carne asada… yum! So, you’ve got 7 new salsa recipes (vegetarian, gluten free, delicious) from my blog alone. 🙂 Isn’t it time to get to know salsa in a whole new way? A little zippy, a little smoky, and a lot flavorful! We love it on grilled or roasted vegetables, and brushed on pork chops and salmon steaks. This is a versatile and super flavorful salsa! To a saute pan over medium heat, add the oil. When the oil is hot (not smoking), add the seeds. Let them sizzle in the oil 3 to 4 minutes. They should be fragrant. Add the garlic and achiote paste. Cook an addition 2-3 minutes, stirring occasionally. Don't burn the garlic! Reduce heat if necessary. Turn off the heat, then add the Mexican oregano, sherry vinegar, chipotle and adobo, and a few grinds of sea salt and fresh ground pepper. Allow the mixture to completely cool. 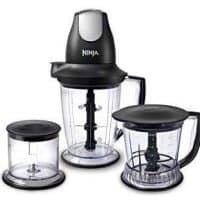 Pour into a food processor or blender; pulse it to desired consistency. (We like it pretty coarsely chopped). Taste for seasoning, and adjust if necessary. 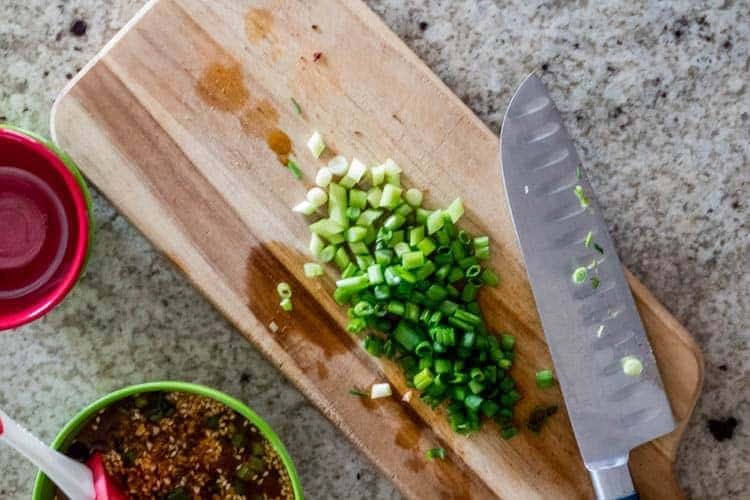 Pour into a bowl, then stir in the chopped scallions. 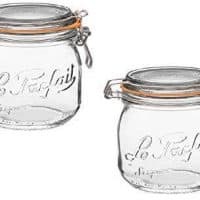 Use at room temperature or refrigerate for later. As I mentioned in the post, this oil-based salsa is better warmed or at room temperature. 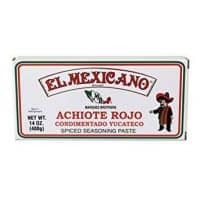 I keep achiote paste in my well-stocked pantry, but I don't use it often. On photo day, it resembled a brick more than a paste. Lol. I chopped it into small pieces, and broke it up in the oil further. Fresh achiote paste should be softer! If you wish to make your own, try this recipe. Substitute nuts for seeds if you wish. I love a little acidity in this salsa. Your palate may not. Not all salsa macha recipes call for it, so it is optional.